When I think of the best rock bands that have ever existed, my thoughts immediately turn to England. The Beatles. Led Zeppelin. Queen. Pink Floyd. The Rolling Stones. Judas Priest. The Who. Radiohead. Deep Purple. Yes. Shall I go on? London has some great recording studios, and that shouldn’t come as a surprise. You might even be able to think of one or two off the top of your head, such as Abbey Road Studios. 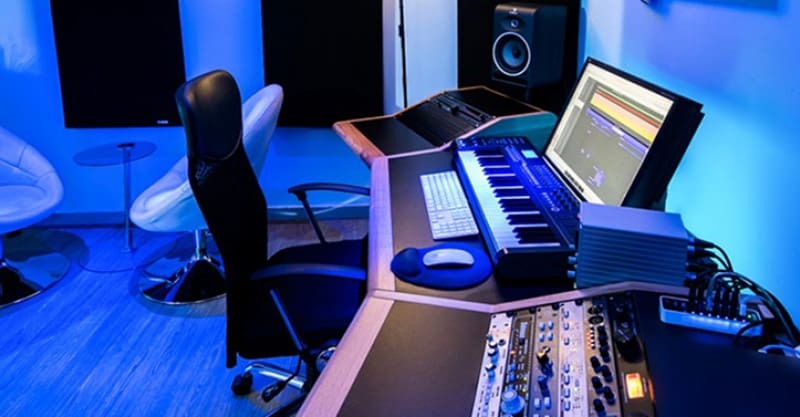 So, whether you’re planning to record in London, or it’s where you happen to be located, here are the top recording studios you may want to book for your next project. 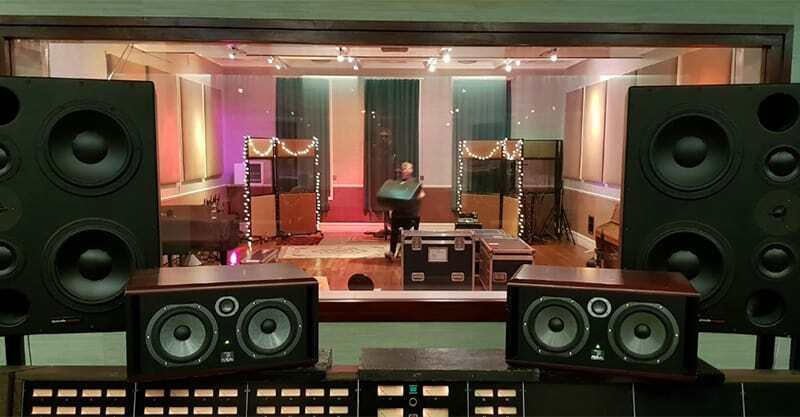 Are There Other Recording Studios Worth Checking Out In London? 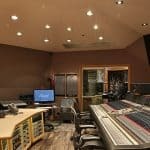 Which Studio Should I Choose? Which Is The Best One To Record My Music? Why Do Recording Studios Charge So Much? Please note that these studios are in no particular order, as depending on what you want it for, different ones may be better for you. How about a studio that has nothing but five-star reviews on Google? Is that deserving of a place on this list? I think so. Hot Money Studios has worked with the likes of Jessica Wright, Stormzy, Connor Maynard, and others. Based in South Bermondsey, it was founded by a producer and an engineer. They use cutting-edge equipment to help musicians capture great recordings quickly and efficiently. They offer recording, mixing, mastering, beats and video production services, depending on what you’re looking for. Their rates are relatively high, as you might imagine, but if you’ve got the budget and determination to create something great, Hot Money is a great choice for your next recording project. 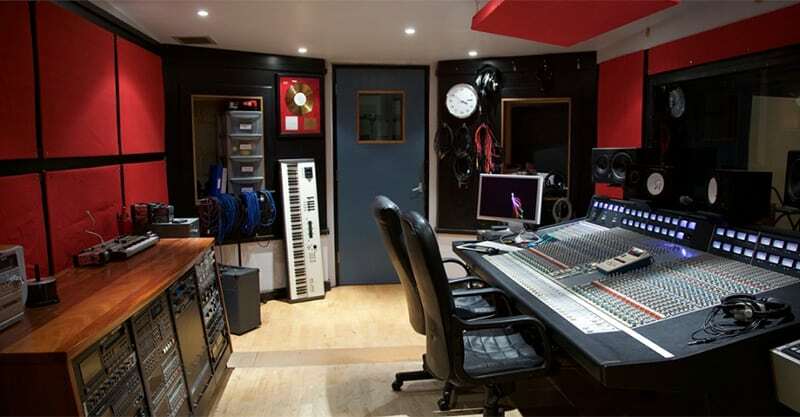 The Premises is London’s most popular, award-winning recording studio. Their Studio A is fully solar powered, making it an eco-friendly place to work on your next project. They’ve recorded artists like Nina Simone, Rihanna, Lily Allen, Tom Jones, and many other names you’re sure to recognize. The Premises Studios also offers rehearsal space and their rates are reasonable. If you want to know what recording and mixing costs, however, you will need to contact them directly. With a 4.7 rating on Google, here’s yet another place that’s sure to meet and even exceed your needs. 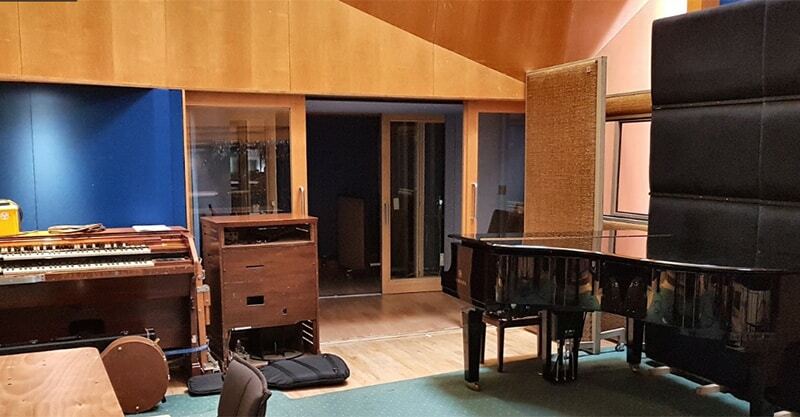 Founded in 1986, the state of the art Metropolis Studios is beautiful and functional, featuring tracking studios, mixing studios, mastering suites, vinyl lathes, writing and production rooms, and even apartments and serviced offices for rent. It also claims to be Europe’s top independent recording studio, making it more accessible than the alternatives, even on a budget. Though based on the reviews, this may not be the case. Metropolis Studios offers a lot. They have several studios to choose from (A, B, C, and E – don’t ask me why D isn’t listed), in addition to a writing room, screening room, and even residential space. It has a 4.5 rating on Google, and most negative reviews don’t have anything to do with the facility or the people running it. But hey, there’s no pleasing everyone right? 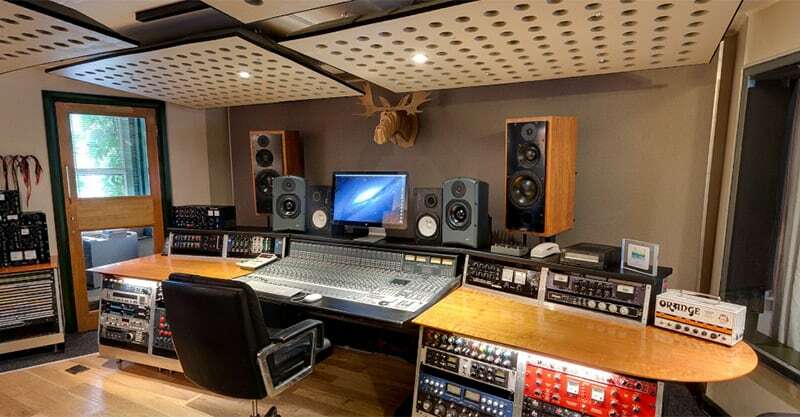 As with Metropolis Studios, Resident Studios has a lot to offer including multiple studios and rehearsal spaces. They also provide music video production services. Established in 2001, Resident Studios took over Stepping Stone Studios. They’ve worked with artists in all genres from across the world. They don’t tell you what their rates are unless you contact them directly, but they do offer an “unsigned special”, suggesting that independent artists should be able to get a bit of a discounted rate. With a 4.4 rating, customer sentiment is good, but some have complained about the personnel, as well as the rehearsal spaces, which have been described as “just okay”. But you can be the judge. Located in central London (a four-minute walk from Oxford Circus tube station), Soho Sonic Studios is an outgrowth of The Musician’s House, originally founded by OJ (Ofer Shabi). Soho offers music recording and production, sound to picture voice over, as well as green screen and location filming services. There’s no mention of rates, so if you’re interested in recording here, you’ll need to get in touch with them on your own. Some reviewers have described their rates as being “overpriced”, and their staff as being “unprofessional”. But their 4.8 rating suggests mostly satisfied customers. This list would not be complete without mention of the iconic Abbey Road Studios. As we all know, it’s home to some of the most known and celebrated recordings of all time. In addition to recording, they also offer post production and film sound post-production services. 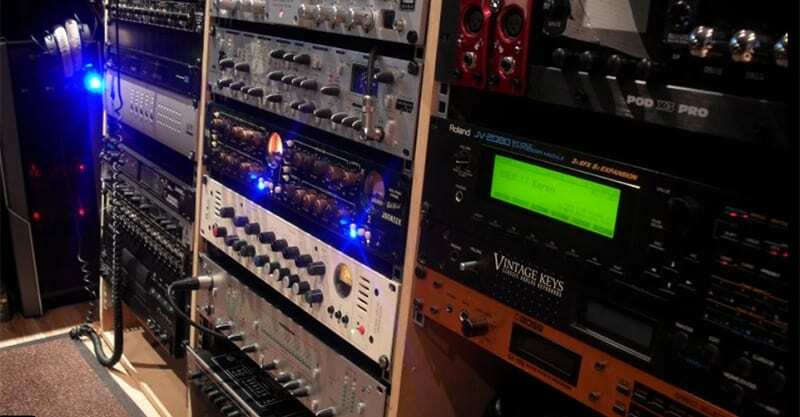 If you’re a musician looking to take advantage of the studio, but can’t physically be there, you’ll be glad to know Abbey Road offers plugins and samples, as well as online mixing and mastering services. Abbey Road boldly proclaims they are “best in the world”, and that’s not surprising considering their history, which began in 1931. They don’t have a perfect rating on Google, but considering their near 2,000 reviews, that’s hardly surprising. Most of their customers have been satisfied with their experience. Select Recording Studios might have some of the most reasonable rates of any studio mentioned so far. Then again, many studios do not disclose their rate online. Their client list includes Sinitta, Rozalla, and Kingsland Road among others. Select offers recording, recording for solo artists (they claim to be an ideal location for solo artists), music production, voiceover, and mixing and mastering services. Their 4.9 rating suggests a largely satisfied customer base, and their “negative” reviews aren’t negative at all, so they may as well have a perfect rating. 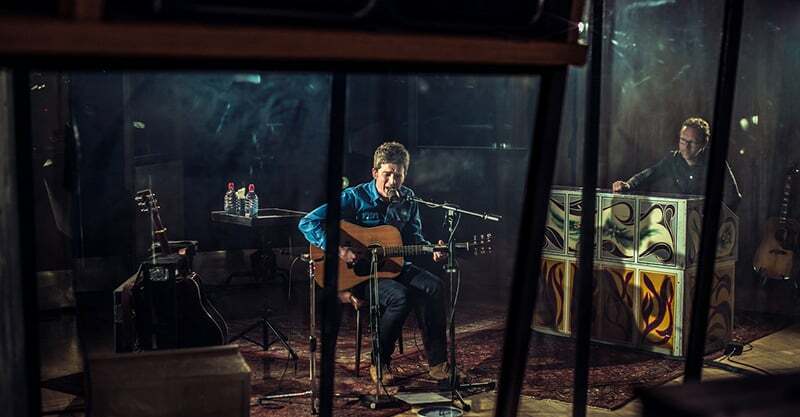 RAK Studios has worked with the likes of Steve Lillywhite, John Leckie, Dom Monks, Miles Kane, and others. Founded in 1976 by Mickie Most, RAK claims to be “one of UK’s best-known” studios. They have four studios and they even have accommodation for their clients. RAK Studios also offers filming services to their artists. Their Google rating is 4.7 but they still don’t have many reviews. So-called negative reviews don’t have any substance, so for the most part, it seems like a great place to record. There sure are, and they might be worth looking into if none of the above studios seem to serve your exact needs. The “perfect” studio is one that’s perfect for you, plain and simple. Nobody can tell you what that is. If you can schedule a few tours at prospective studios and talk to the personnel at each, you’ll probably get a good sense of which to choose. But if you still aren’t sure, I’ll offer some thoughts on which studio to choose. Now, I wouldn’t say recordings studios are all on an equal playing field, but increasingly, that has become the case. The technology and equipment has gotten so good, and the treating of rooms more economic, that many studios can offer a comparable finished product. One of the major differences often comes down to the personnel, their experience, and how well they understand and know their own gear. Who works at the studio? What kind of experience do they have? Are they professional, personable and easy to work with? What genres do they specialize in? Do they understand what I’m after? Would I be comfortable recording in the chosen studio environment, or would I feel pressured, nervous, and uncomfortable? Similarly, would my band mates be comfortable in the studio? Would I be constantly “watching the clock” to ensure I maximize my time, or do I have the assurance that on the other end of the recording session I’ll have a product I’m happy with? Will the staff help me be efficient and productive? Do they have the kind of gear I’m looking for? Do they have instruments, amps, effects, and other equipment that would either supplement or enhance the sound I’m trying to create? Do the engineers know how to use said gear? What is my budget? How much am I prepared to spend on the recording? What are my expectations around timeline? Is the studio willing to work with me to ensure we stick to that timeline? Am I going to be satisfied with the finished product? Who else have they recorded that’s like me? How flexible are they in their approach, and are they willing to take suggestions, even if it’s not “how they normally do things”? Personally, I would not record in a studio just because I think it’s “baller”. In that instance, I would probably end up spending more than I’m willing to spend on an experience that’s incredibly short-lived. Certainly, I do believe experiences are worth paying for, but I think there are better experiences than the privilege of recording in a beautiful studio. I’m just warning you in case that’s what you’re thinking. As with any business in a competitive field, recording studios charge a range of prices, some in a more accessible range for independent artists, some that might be a little out of reach of an unsigned act. Oftentimes, this is deliberate. Businesses can set themselves apart by pricing their services differently from others. But a cheaper studio isn’t necessarily worse, and a more expensive studio isn’t necessarily better. Sometimes, you can come away from a session at a more affordable studio feeling great about what you accomplished. At other times, you can walk out of a more expensive studio feeling like you spent way too much money for what you got. When you look at how much studios charge from the perspective of the business owner, it stands to reason it might have something to do with the client base they’re looking to attract and serve. A studio that’s charging a higher rate may not be interested in clients who are less serious or will cause more trouble than they’re worth. They might be more interested in working with signed acts or artists who have the budget for a quality recording. A studio that’s charging a lower rate might be more benevolent in some ways, might be interested in working with independent artists, or may not think their services are worth charging more for. Disruptive businesses might charge a bargain basement fee just to turn the market on its head (i.e. the retail equivalent would be stores like Walmart). Ultimately, a “quality recording” is somewhat subjective, though I’m sure most studios would say this is exactly what they offer. Certainly, most people can tell the difference between a “radio ready” track and one that sounds like it was put together in someone’s garage (by the way, one of the most known producers in Calgary, where I live, records in his garage). But even there, you can’t go in with any assumptions. I know artists who frequently get their music placed in commercials, TV shows, movies, video games, and other media, and they don’t necessarily know a lot about recording or even have access to the best gear. As with any industry, however, you’ll find the people with the most experience and credentials tend to charge the most, while the people with less experience and fewer credits in their portfolio charge less. This isn’t universally true, but it’s a good rule of thumb. If you’re on a budget, there’s no shame in seeking out someone who owns a home recording studio or project studio. You might find it easier to record in an environment like that, and you can still get a great quality recording overall. Though musicians can be conservative with money, I find they always find a way to pay for what matters. And, if your recording project means a lot to you, you’re probably willing to spend more on it. 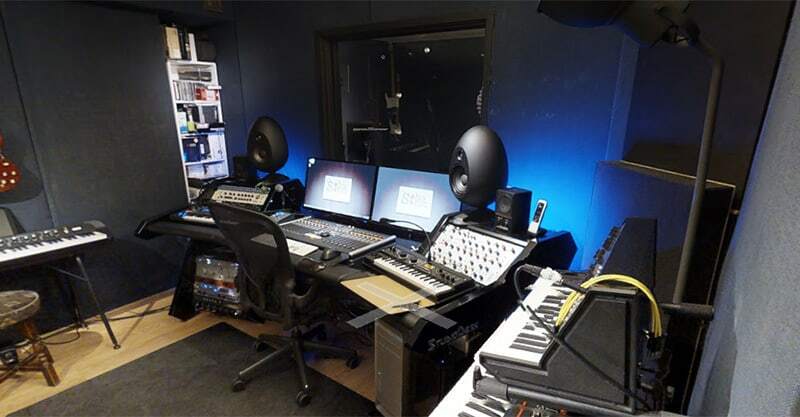 You should now be equipped with all the knowledge you need to find a quality studio in London. So, get out there and start recording. I wish you all the best with your project.